Healthcare systems are struggling with balancing uncertainty and providing access to innovative health technologies. 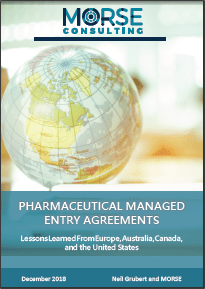 A comprehensive literature review of the trends, challenges, and opportunities in key international markets was conducted by the authors to provide clarity on the feasibility of negotiating outcomes-based agreements. Although payers’ and manufacturers’ objectives will never align completely, both parties ultimately have a common interest: to ensure that patients have timely and affordable access to innovative medicines. Managed entry agreements can play a crucial role in achieving that goal. Please tell us where to send your Report? Yes, I'd like to receive timely and relevant updates related to the emerging developments in the Canadian pharmaceutical reimbursement landscape?